Celebrities in Goatee beards. People from all over the world follow celebrities for their style, the way they carry themselves and how can one learn from the top celebrities. Celebrities have the style sense of their own, some follow the latest trends while the others want to carry themselves the way the are comfortable, whether the style is current or antique. Beards are among the hottest fashion trait that most men celebrities follow, among all the facial hair madness, goatee beards are the most cherished of all. Many celebs actually turn automatically hotter when they give themselves goatee beards. 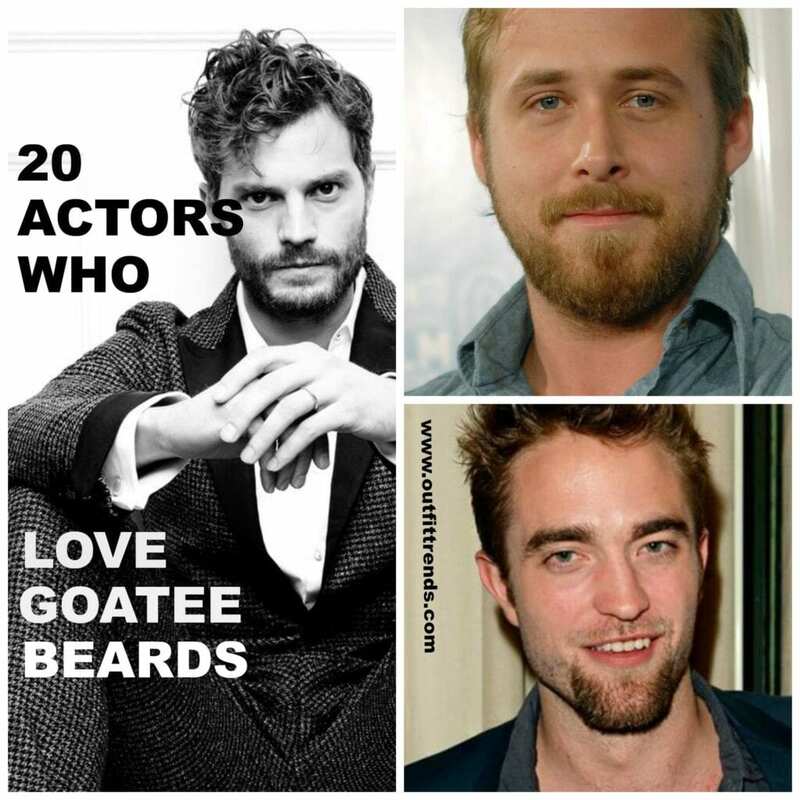 We bring you the 20 top celebrities who love goatee beards and they don’t mind carrying it all the time. Let’s start with what exactly is a goatee beard? In simple words, it’s a pointed beard, similar to that of a goat which of course is how it got this name. But over the years, the goatee beard has evolved into different styles and shapes to suit the needs of men. Today every guy can find some goatee style to go with his personality and face shape. Let the hair grow! especially around the chin area, just leave them alone and let them grow or one to two weeks. However, it’s a good idea to keep moisturizing your beard while you wait for it to grow. When you feel you have enough hair, it’s time to start shaving it into a goatee. And if you feel you have too much hair you can start by trimming some off with a scissor to make things easier. So start by making an outline using a razor of what you want the goatee to look like. So start by making an outline using a razor of what you want the goatee to look like. Then its time to give it a proper shape, you can start with the neck and make sure to get rid of each and every extra hair. A goatee beard can require more maintenance than the other beard styles since it has to be kept neat and trimmed. You can not allow any stubble on your face as it will ruin the shape of your goatee. However, the results are worth the effort! 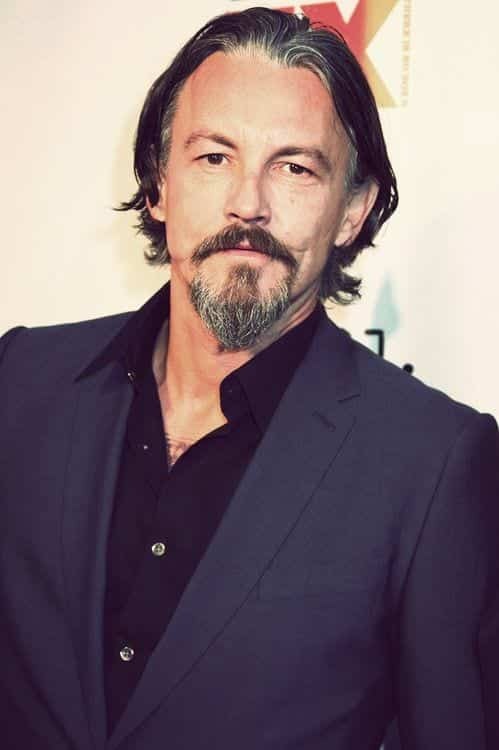 Despite reaching middle age, Tommy Flanagan has kept a goatee with no hair on the sideburns. His grey and black hair add more charm to the entire look. Dwayne Douglas Johnson, or famously known as The Rock looks more handsome in his goatee, he keeps in a french beard style yet it blends well with his age and overall style. Every girl’s favorite heart throb Ryan Gosling has kept a goatee for as long as one can remember. Not only it gives him a sexier look but gives an overall younger look. Girls and guys all love Robert, in his initial days he used to be clean shave but now he is seen carrying a goatee with no mustache. This style suits him the best! Who isn’t aware of Nici Larson, the billion dollar man. He flaunts his grey and white goatee like his overall hair and still makes the mark wherever he goes. Joe proves that even a goatee can look wonderful with shoulder length hair. Most men are afraid to experiment, but we have a celebrity endorsing the entire look! Jeff Bridges is every girl’s crush, even in this age he pulls off the entire grey long hair and goatee so well! Jason Sudeikis, famously known for Saturday Night Live show also keeps a goatee to enhance his persona, and his decision is totally favoring him. The current heartthrob, Jamie Dornan finally keeps a goatee and girls are drooling over his even more intense looks! That heavy accent and that full heavy goatee has got everyone attracted, isn’t that so? Hugh Jackman definitely flaunts his goatee beard with a little variation and we are all loving it! The British model, David Gandy also supports a light goatee to ensure more added hotness to his looks. If you are new to a goatee you can keep a light goatee like him. Everyone’s favorite sportsman, David Beckham is always seen having a subtle goatee which even enhances his overall sharp features. The actor who even gets hotter with age, Christian Bale is surely increasing his fan following after keeping a goatee. His goatee beard is always favorable for those who want to have a full beard. Chris Evans is also seen carrying a goatee, then why can’t you? Everyone’s hero, Brad Pitt is always seen varying his goatees, you can opt for any goatee style which will suit you. Mr. Sherlock Holmes, Benedict Cumberbatch gives goatee a try, and it is totally safe to say, he is slaying it! Aaron’s Paul wisest decision was to keep a goatee. By adding a goatee he looks more mature and it gives his personality a more gentleman’s aura. Most of these are actually beards. Not just a goatee.